Maxis are your friend when you are pregnant, especially to hide your swelling calves and feet! 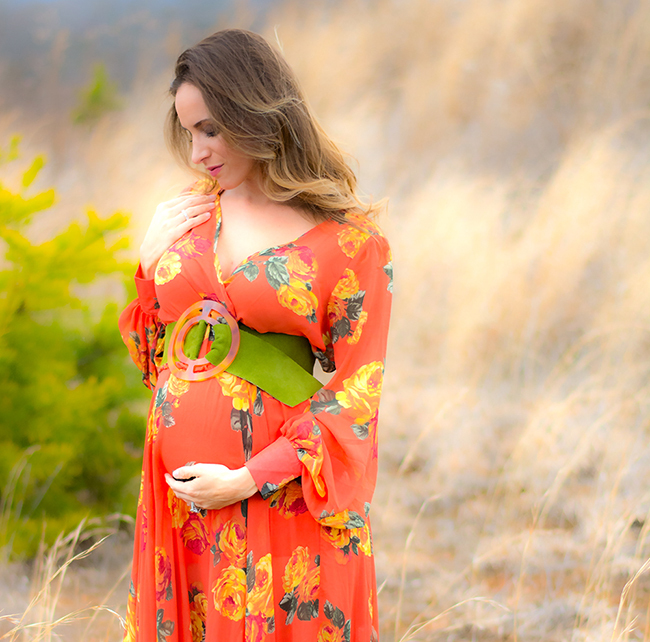 This flowy, bright maxi is a non-maternity dress that I purchased a few months ago from Nordstrom. It comes with a matching belt but I opted to replace it with this amazing, funky belt that I found on super sale at local Charlotte boutique, Chezelle. I kept all the jewelry simple since the color and pattern of the dress are so bold. This dress is by Dirty Ballerina and I really like this brand because it has a great price point! Spring here we come!